Tile can be a great wall surface in the kitchen – or an ongoing annoyance, depending on the choices made in planning and installing. Two important questions to ask in the planning stage are: where do I want to install tile on my kitchen walls, and why? The most common place to install wall tile in the kitchen is on the backsplash, especially behind the sink and the cooktop. The reasons are to protect the wall from water, food splashes and grease, and to make the wall easier to clean. Almost any tile will do a decent job of protecting the wall if it’s installed correctly. A kitchen wall is not like a bathroom shower surround where water is being sprayed on it continuously and frequently. The easy cleaning rationale is another story, though. tiny mosaic tile with acres of grout lines to catch dirt and need resealing regularly. textured tile with raised designs to catch dirt and take longer to clean. tumbled stone tile with rough surfaces and edges, and wide grout lines, to – you guessed it – catch dirt and be almost impossible to clean. 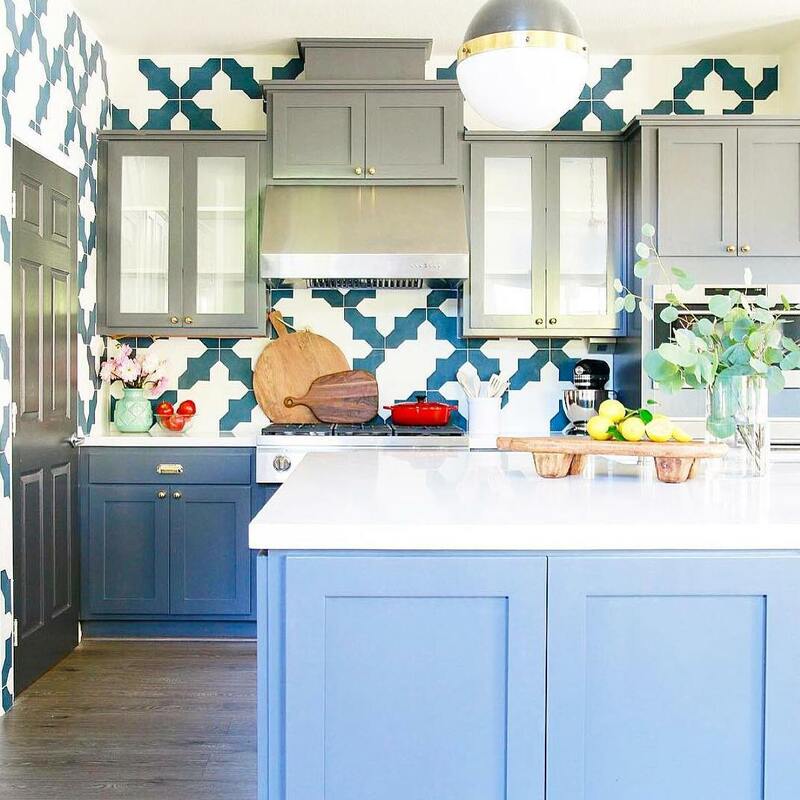 It’s your call whether in your own kitchen you want to trade less ease in cleaning for more beauty or fashion – but it’s important to make an informed choice. Try to talk to someone who has the tile you plan to install, in a similar location to where you plan to install it, who cooks about the same amount as you do, and ask them how easy they find it to live with before you invest the time and money. 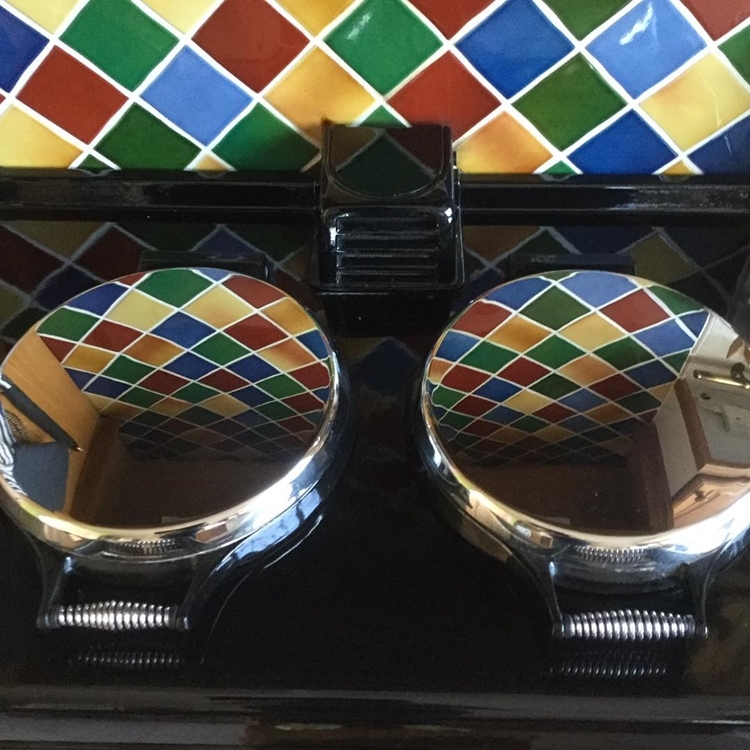 This is critically important if you plan to install a tiled feature wall behind the cooktop as, especially with gas burners, food and grease will get deposited there no matter how careful you are and it will need to be cleaned regularly. A tile wainscot has rather different wear and cleaning requirements from a backsplash. You are less likely to run into problems with grease and food splatters, but much more likely to have to deal with dings and bangs. For this reason, tile here needs to be stronger and to be really solidly installed. Where on a backsplash you can get away with installing tile directly on drywall, if your tile wainscot is going to be banged by chairs or flying toddlers on tricycles, you’ll need a stronger, more rigid backing such as cement backerboard or plywood. Even 2 layers of regular drywall will give a stronger, more solid backing. 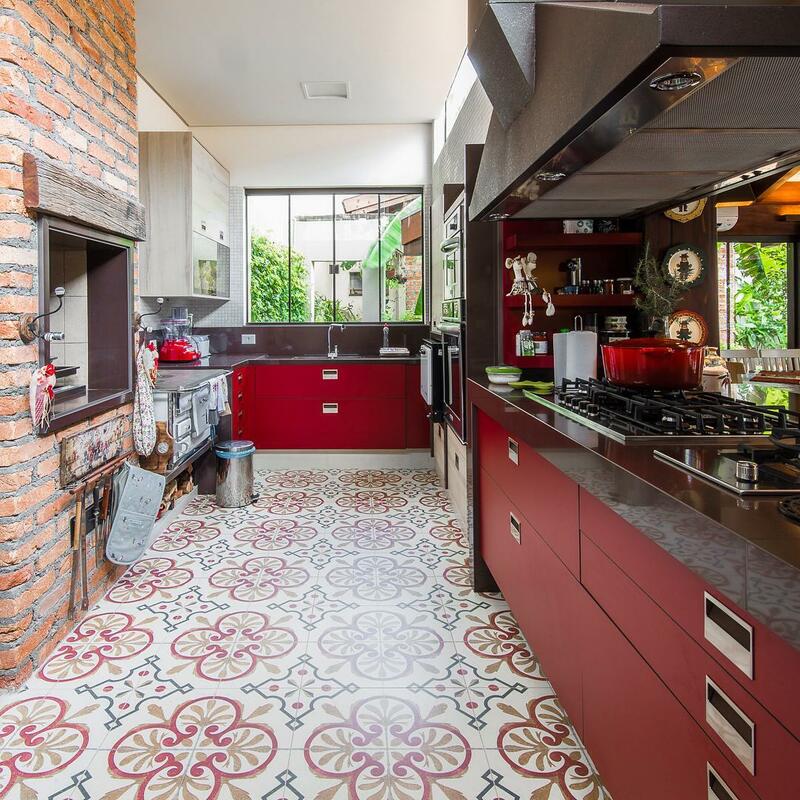 When restyling your kitchen, have you thought of adding colorful tiles to your decorating scheme which will bring interest to your kitchen décor. 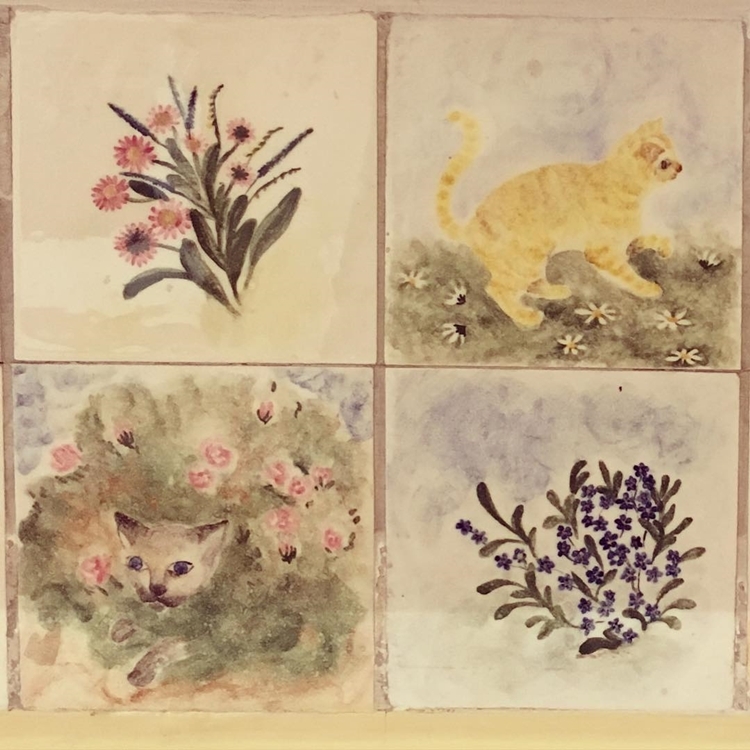 Tiles with pictures are expensive but you will only need to purchase a few and have them placed around randomly amongst your plain tiles to create a great colorful look. There’s lots of tiles with pictures to choose from. For example tiles with pictures of fruits, vegetables or wine bottles are a good choice for a kitchen scheme. Alternatively choose a tile depicting a colorful rooster, will certainly help to brighten up your kitchen. 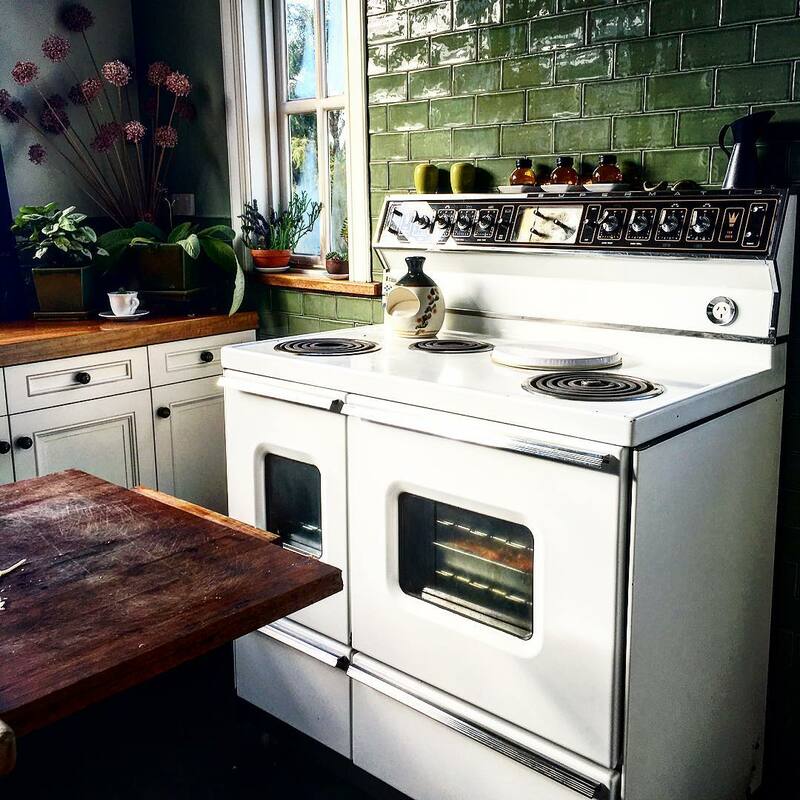 I have totally fallen in love with the green frog tile Green is a great color to choose for your main color in your kitchen. Green reminds us of the outdoors and nature and relates to the natural ingredients we bring into the kitchen like fruits and vegetables. Stick on Kitchen Tiles: Stick on tiles are a convenient and fast way to put tiles up in your Kitchen. Provided you have a reasonably sound surface you can just remove the backing from the tiles and stick them straight onto the wall. Stick on kitchen tiles are great for placing over ugly old tiles. They are much cheaper than ceramic tiles. Plus they do not require any great handyman skills to achieve a great look. 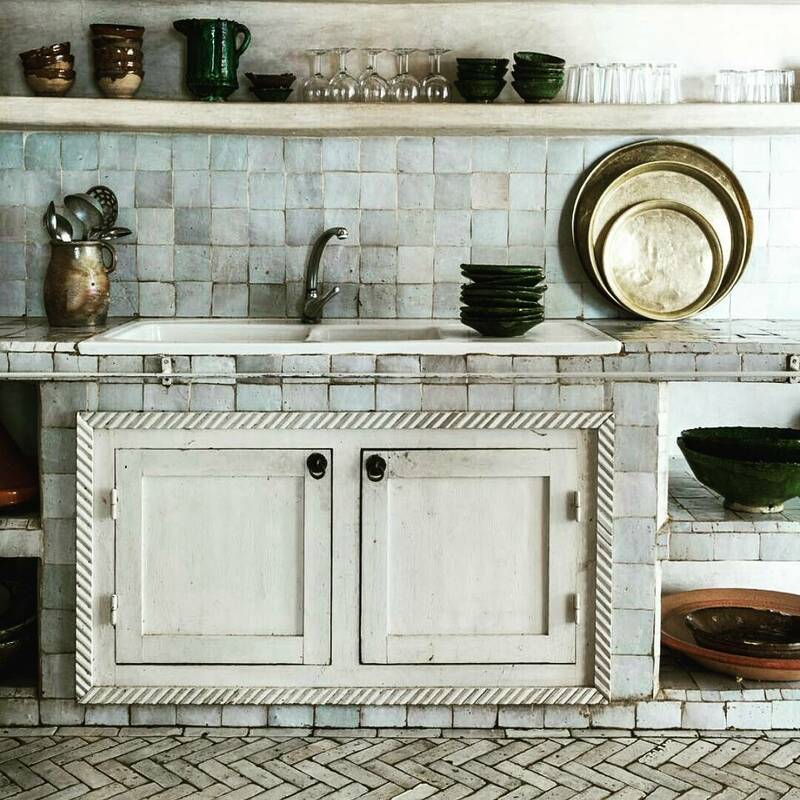 A kitchen tile backsplash has been a classic from Victorian days. I’ve talked about practicality in the section above on kitchen wall tile, so let’s just say here that the smoother your tile and the fewer grout lines you have, the easier it will be to clean. I just love the look of these copper tiles. 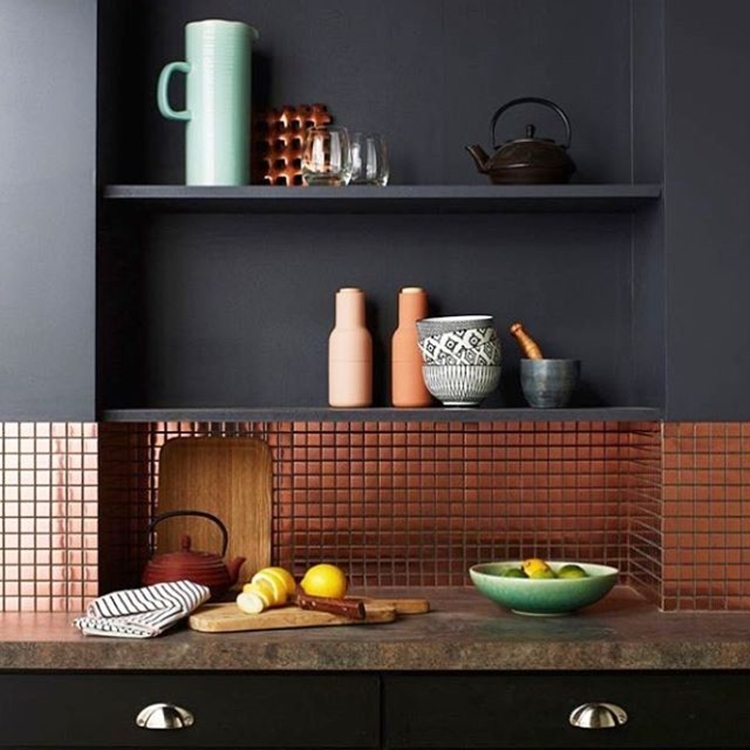 These copper mosaic tiles are manufactured out of real pieces of copper and have an antiqued finish. The tiles come mounted onto a mesh which makes installing these tiles a relatively simple job. Also because each square of tiles is made up of individual small sized tiles they can be stuck onto walls that are not perfectly flat. 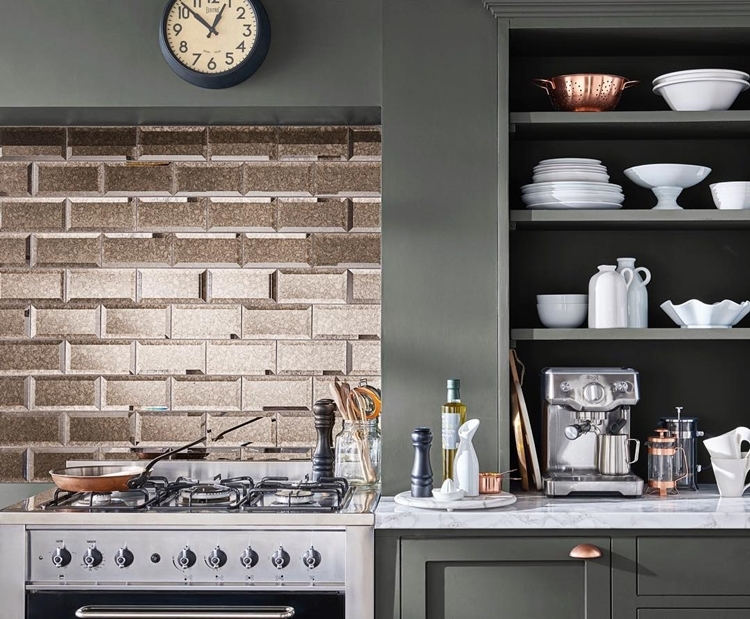 I’ve noticed from reading home making magazines and looking around Kitchen show rooms that brick tiles for kitchen walls appear to be the latest trend. There is something pleasing about brick tiles, I like the way the tiles follow the stretcher bond pattern of outside brickwork. It is to my mind aesthetically pleasing. A tiled kitchen floor is a thing of beauty or a pain in the feet, depending on your point of view. First of all, there are certain requirements which need to be met in order to successfully tile a floor. The floor structure itself must be suitable. That means strong, level, dry, and non-flexing. If it bounces when you walk on it, your tile will crack. If it’s damp, the tile will lift up or not stick at all. Make sure those items are checked off before you even think about installing tile. The tile you choose must be suitable for floors. Much tile available is manufactured for use on walls and is not strong or wear-resistant enough for floor use. Tile is one of the most flexible materials you can use from a design point of view. You can do anything from a field of plain squares to a multi-colored, multi-shaped, multi-bordered extravaganza. Design choices can make an area seem larger or smaller, direct the eye to a focal point, mark off areas for different uses, soothe you or wake you up.